Chances are that unless you were on holiday in a remote location at the end of July, you’ve already seen this inspirational video. It’s so heart-warming and motivational that I wanted to share it again. Eight-year-old Bailey, from Doncaster, has cerebral palsy. 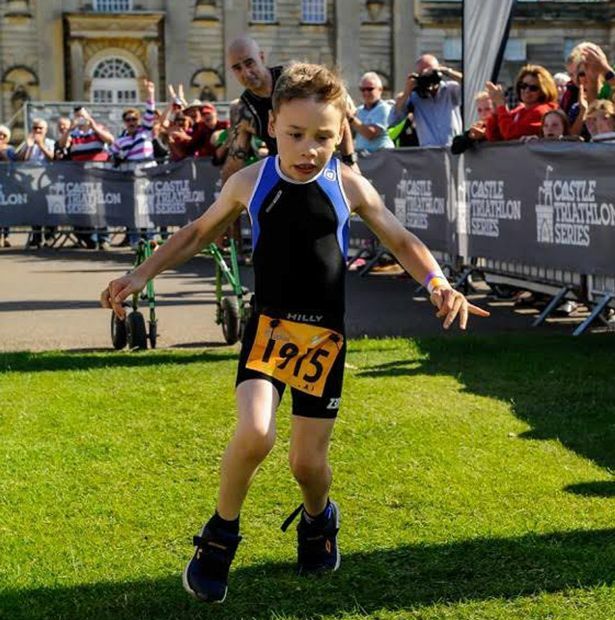 He was cheered over the line by hundreds of spectators after completing a 100m lake swim, 4,000m bike and 1,300m run. The emotional crowd shouted its encouragement when Bailey stepped away from his walking support. He finished the last 20 metres of the race unaided. Waiting for him were his parents Jonathan and Julie Matthews. This inspirational young man also regularly runs at his local parkrun, Clumber Park. If Bailey can do a triathlon, what’s stopping you? It’s fantastic, isn’t it. He’s such an inspirational little chap. I hope that he continues to pursue his dreams. Oh wow, I hadn’t actually seen this before and now I’m blubbing like a baby!! Awesome little dude!